Product #1869 | SKU JAA127DA | 0.0 (no ratings yet) Thanks for your rating! Compact and lightweight ultra-wide-angle lens ideal for landscapes, interiors, events and more. 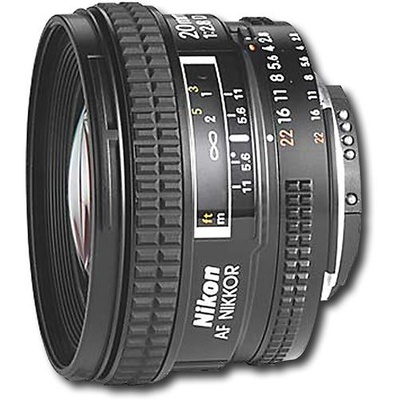 This lens sports the Nikon "Close-Range Correction" system to provide high performance at all focusing distances through independent internal floating lens elements. Close-Range Correction (CRC) for distortion-free pictures as close as 0.85 feet. Superb optical design for architecture, wedding and landscape photography. 94° picture coverage with edge-to-edge sharpness.